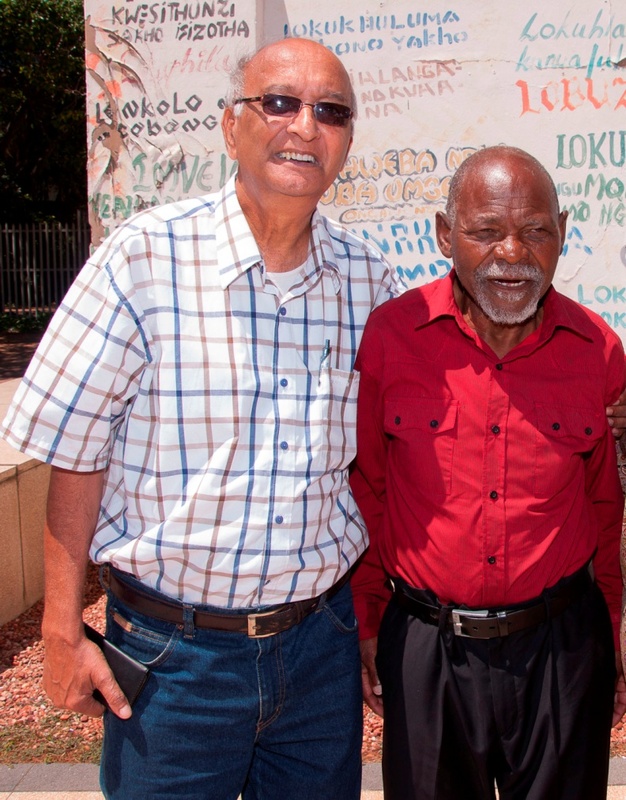 Riot Makhomanisi Mkhwanazi, who last year received the Gandhi Development Trust’s Satyagraha Award passed away on 4 December 2016. He was born in Msasandla, KwaDlangezwa in Northern Natal on 16 December 1933. A true son of Africa, he dedicated his life to the struggle for the liberation of South Africa. He joined the defiance campaign in the 1950,s and in the 60.s joined the underground Unit in response to a call by Nelson Mandela. In 1963 he was arrested and sentenced to 10 years imprisonment which he served on Robben Island. On release from prison he skipped the country and joined the exile wing of the struggle. His commitment was unflinching and principled. He was a humble, courageous and outstanding leader. He was elected to serve on the Umhlatuze Municipal Council in 2002. He retired in 2006. He received many awards among which were the Order of Mendi for Bravery from Government of SA and the Satyagraha Award referred to above..